Newly arrived in New Fiddleham, New England, 1890, and in need of a job, Abigail Rook meets R. F. Jackaby, an investigator of the unexplained with a keen eye for the extraordinary - including the ability to see supernatural beings. Abigail has a gift for noticing ordinary but important details, which makes her perfect for the position of Jackaby’s assistant. 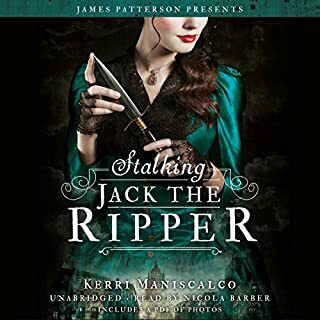 Jamie Watson has always been intrigued by Charlotte Holmes; after all, their great-great-great-grandfathers were one of the most infamous pairs in history. But the Holmes family has always been odd, and Charlotte is no exception. She's inherited Sherlock's volatility and some of his vices - and when Jamie and Charlotte end up at the same Connecticut boarding school, Charlotte makes it clear she's not looking for friends. John Wayne Cleaver is dangerous, and he knows it. He's obsessed with serial killers, but really doesn't want to become one. So for his own sake, and the safety of those around him, he lives by rigid rules he's written for himself, practicing normal life as if it were a private religion that could save him from damnation. Dead bodies are normal to John. They don't demand or expect the empathy he's unable to offer. Perhaps that's what gives him the objectivity to recognize that there's something different about the body the police have just found behind the Wash-n-Dry Laundromat - and to appreciate what that difference means. The day Louisiana teenager Rory Deveaux arrives in London marks a memorable occasion. For Rory, it’s the start of a new life at a London boarding school. But for many, this will be remembered as the day a series of brutal murders broke out across the city - gruesome crimes mimicking the horrific work of Jack the Ripper in the autumn of 1888. Soon “Rippermania” takes hold of modern-day London, and the police are left with few leads and no witnesses. Except one. Rory spotted the man police believe to be the prime suspect. But she is the only one who saw him. Even her roommate, who was with her at the time, didn’t notice the mysterious man. So why can only Rory see him? And more urgently, what is he planning to do about her? In this edge-of-your-seat thriller, full of suspense, humor, and romance, Rory will learn the truth about the secret ghost police of London and discover her own shocking abilities. ©2011 Maureen Johnson (P)2011 Brilliance Audio, Inc.
Boarding school fiction with a paranormal twist. 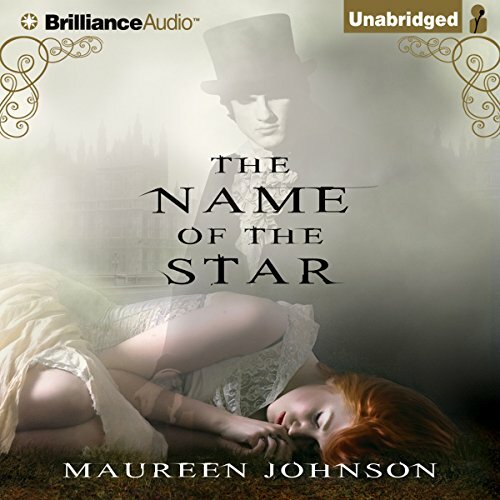 Would you consider the audio edition of The Name of the Star to be better than the print version? Not sure, since I haven't read it. What was one of the most memorable moments of The Name of the Star? I really liked the fact that for the first half it read like a realistic fiction book about boarding school life in England. Would you listen to another book narrated by Nicola Barber? On the fence. Her accents were good but her actual normal narration was really distracting. She over enunciated which was annoying. Fun, quick YA listen. Nothing overwhelmingly good, but decent writing and performance and intriguing storyline. It's hard to rate this novel, because it does many things. For one, it's a YA fish-out-of-water tale about a small-town Louisiana girl who suddenly finds herself in a boarding school in London. As a glimpse of London life, popular culture, and history through an American lens, it's a very successful and often laugh-out-loud funny tale. 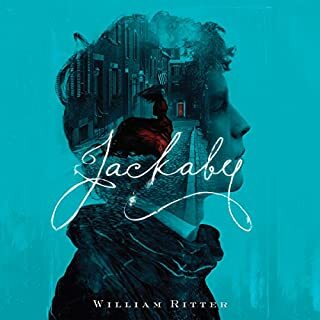 The novel is also a Jack-the-Ripper thriller about a copycat murderer who uses the original Ripper slayings as inspiration for "tribute" killings, with some clever and chilling contemporary updates to the 1888 story. This aspect of the novel, with its atmospheric descriptions and creepy depiction of the morbidly fascinated public at large does work on its own, although it's somewhat jarring next to the more upbeat schooldays story. But wait, there's more! 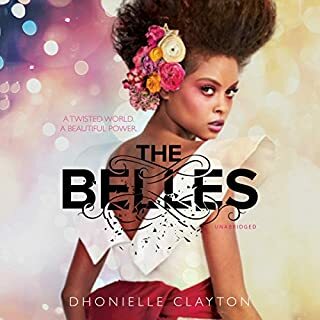 This book also serves up a paranormal coming-of-age and coming-into-your-powers narrative about ghosts (or shades), those who see them, and the secret police who are in charge of cases involving them. (Think of the Torchwood group dedicated to ghosts. I couldn't unsee Torchwood throughout this section of the novel.) In some ways the novel hangs together - thank heavens Maureen Johnson confined herself to the copycat killer and didn't go back to the mystery of the original Ripper - but in some ways this combination felt overly ambitious, as if everything but the kitchen sink had been thrown into the mix. Johnson telegraphed at least three of the intended "big reveals" far in advance, so the mystery angle of the book fell flat. The less said about the teen romantic scenes, the better. 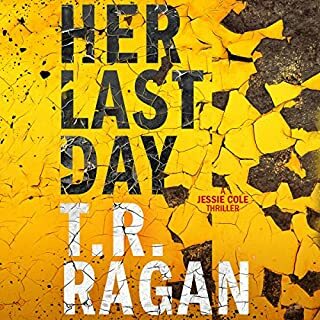 In addition, I normally really enjoy Nicola Barber's narrations, but her varied attempts at a Louisiana drawl were so outrageously bad that they kept shocking me out of the story. Just dreadful. I don't think I'll be following up on more of this series, but I'm not sorry I listened to the novel. Perhaps those who enjoy paranormal YA works will enjoy it more than I did. I listened to it for the Ripper connection primarily, and there were enough innovations there to make this worth my while. The reader sounded like Eliza Dolittle. "The rain in Spain..." I found it hard to get into the story because it was like listening to a voice coach. All the T's and S's are so perfectly pronounced and enunciated, you can't for a second believe that it's a real person talking. Especially not a teenager. Maybe is this woman narrated textbooks? But it just didn't fit with the story. I tried to get through it 3 different times before giving up. 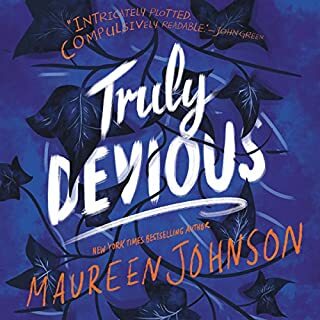 Maureen Johnson is cool...I'll just have to read this book in paperback...I can't get through the audio. What did you love best about The Name of the Star? I just the setting of this book. I felt like I was there in London. I am a huge fan of paranormal books. This one had a new take on it. The paranormal police and the sight. Any of them with Rory trying to make her way around London. With out giving the ending away. It is hard but, when Rory is saved towards the end. The main character, Rory is from the south and has an accent. However, the narrator, Nicola Barber kept changing the accent she used for the main character. I’m glad I had this physical book to read because this was just awful. I had read this book a few years ago and was delighted to find it again. I was excited to hear one of my favorite stories acted out. However, I was disappointed with how weak and fragile the main character sounded. She's a strong southern girl with personality, it threw me off to hear her voice as light and dainty. 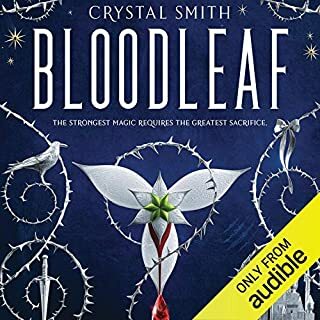 Taking that into consideration, the story is so good that I was still able to enjoy all of its twists and turns all the way to it's magical ending! I really enjoyed listening to it. I had a hard time putting it down. it's fun. This book was entertaining and I enjoyed the characters. The book before this one was so stupid I couldn't listen to the rest of it but this made you want to keep listening. Gets better as you go. It starts off slow, but with the introduction of Boo, Stephen, and Callum the book picks up pace rather quickly. The conclusion pulled the curtain back and revealed the answers to questions left unanswered. What about Nicola Barber’s performance did you like? Nicola Barber is a delight to listen too. Every character has their own unique voice. Do you think The Name of the Star needs a follow-up book? Why or why not? It really could stand alone, even though it is the first in a series. The end wrapped up everything nicely. The plot is a slow moving, as the scenes in the book follow the original Ripper's trail. Not all of Rory's home anecdote's fit with moving the story along. At times they felt a bit too stereotypical of what someone thinks it is like to live in the deep south. What helps keep your attention are Boo, Callum, and Stephen. Their roles are what kept me reading. Maureen is one of my favorites. Both in books and twitter form. I can't wait for the last book to come out. I was really intrigued by the premise of this book and enjoyed many aspects of the story which at times I was genuinely frightened by! As a story however I feel the flow of the book is separated into a before & after where characters who had been the main focus at the begining fade into the background in the second half. Overall it was a good story however my main issue with the audiobook was the British accents performed by the reader, which were inconsistent & very poor a shame for the book as there are readers who are capable of performing a range of British and American accents well and would distract less from the content of the text.